Very intense purple, quite bright and spirited. Bright dark fruits, berries and cherries, slightly creamy and vanilla notes. Creamy texture, almost like wild berry yoghurt, soft but dense with good concentration. A little denser and tighter on the nose, slightly stalkier and a little green herb element, nice bright florals and small berry notes. Fresh full and soft, dense and ripe tannins, quite savoury in fact with just a hint of vanilla oak influence. Good lines but still far too early. Very mature, old vine elements, much more complexity, density and finesse, less expressive but this will come. Very intense but also fresh and precise. Great structure and density, the cabernet sauvignon is very refined and well balanced. Nice combination of fruit and savoury elements, well managed oak but that may change given more time in barrel. Very floral, rosy and violets, lovely intensity of dark fruit, fairly classic Pauillac cabernet sauvignon. Bright intense fresh, quite tannic and showing a lot of barrel at the moment, balanced and structured well with a good long finish. Density and maturity in the flavours and the tannins, mouth-filling but also good acidity. 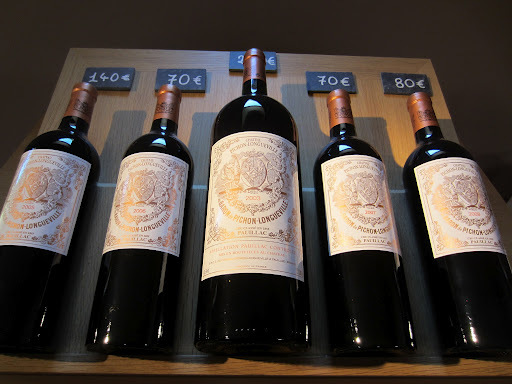 Dominated by youthful tannins and oak, but will develop over the next ten years. Fuller but softer notes, fleshier juicier fruits, less floral elements and more intense oak integration. Full dense and soft, robust and broad. Approachable and soft yet well structured, doesn’t have the same concentration and core of acidity though. Looks good now, will improve for ten years or more but won’t last as long as the 2010.